Given how much I use this product I probably should have reviewed it long ago. I'll make amends with a quick double-thumbs up. I'll start by admitting that I'm more of a twiddler than a programmer. The boss often asks me to add some functionality, or a page will not work as expected and I pull my hair as I try to figure out what's going on. Inspector allows me to see what's actually going on in a given page, by exposing every value in a neat list, which can be searched or filtered to track down the values you are looking for. Since I'm not a programmer, when I use Inspector I often find that the variables aren't passing the values I thought they were, or the SMT entities that I was using don't have the values I want, but some other entity does, which allows me to identify and solve the issue. In addition the ability to copy and paste the MVT entity code, or variable code, and paste it into my script is much easier than trolling the Miva documentation trying to figure out if I've correctly constructed a statement. Now there's an easy way to see every variable name and variable value generated by Miva Merchant ON EVERY page. 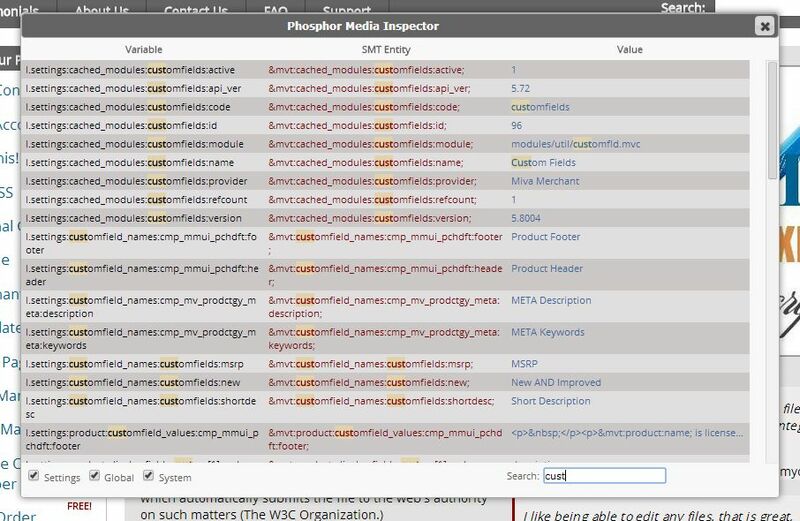 Unlike other options, Inspector shows ALL the variables on ANY Miva Merchant page. 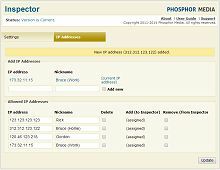 No more fumbling through the admin to locate the page and then pulling up the values for a specific category or product. No more wasted time looking for a customer-centric value...which isn't there. Just click the Inspector button (which appears ONLY for you or those viewers you select) and all variables appear in a nicely sorted (and filterable) listing that floats over the actual page. Click to view only the variables types you need: local, global or system. Start typing a filter and see a dynamically created list of matching items. Filtered items are highlighted in results making it easy to locate exactly what you are looking for. Since Inspector runs on the front side of your store, you can easily make Inspector results available those who are helping you. 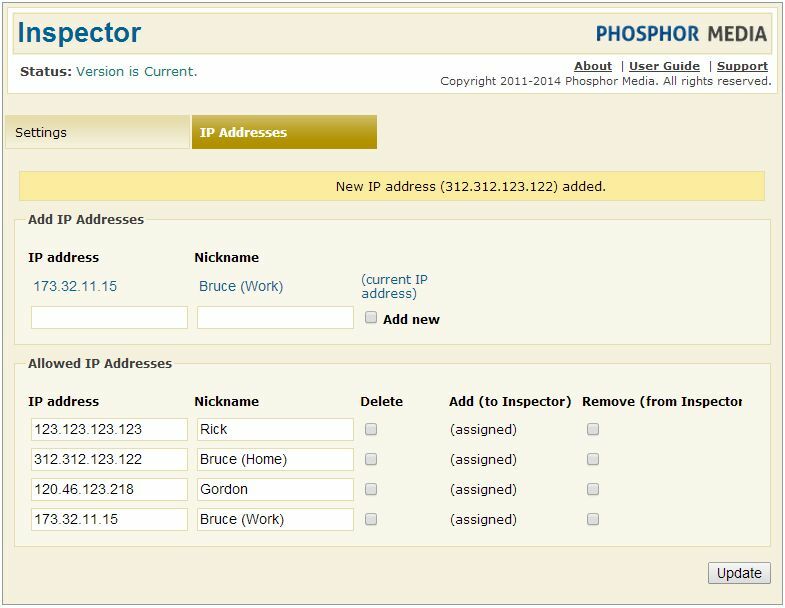 Just add their IP address to Inspector and they will be able to see all results without logging into your actual store. 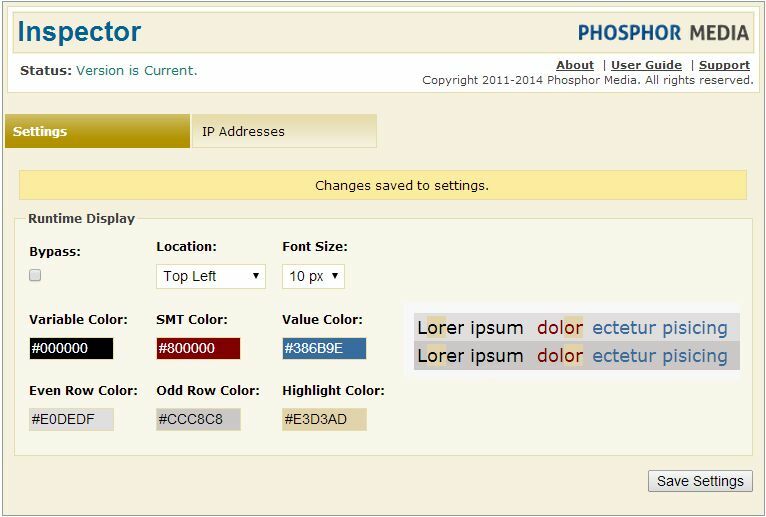 Point and click to set the colors, fonts and highlighting you want to use for Inspector. Turn it off and on with a single click. 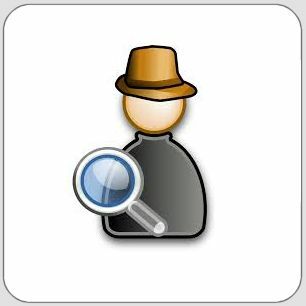 Since only selected viewers can see Inspector, its typically fine to allow Inspector to run all the time. But since it is generating a lot of additional data, its often times convenient to turn it off when you are not working on your store. The results window is fully positionable on the web page so you can easily see the actual web page. Merchant Inspector is licensed for one year from the date of purchase. This includes free support, feature updates, and of course any bug fix releases. The renewal cost for Merchant Inspector is: $15.00.